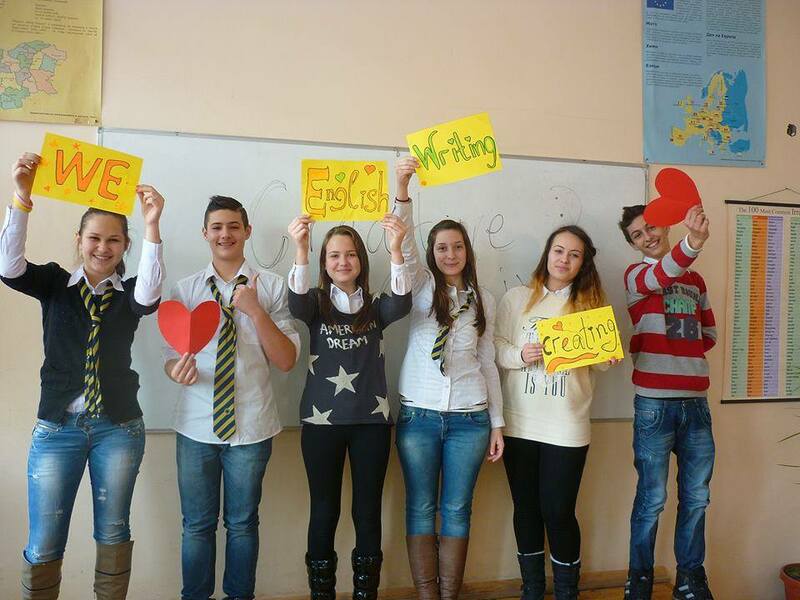 More than 4000 students from 6th through 12th grade from 180 schools took part in the fourth national creative writing competition in English on February 11th and 12th 2014. This year students wrote on topics like: You are a tree–tell your life story, You open your freezer and find that it has become a passage to the North Pole…., If you had to do without one of your five senses, which would it be, and why?, When socks disappear, where do they go?, If rain was a person, what sort of person would it be?, If you could be attractive and stupid or intelligent and ugly which would you prefer and why?, How can you live life without regret? In the writing statistics form teachers shared with us that “the students found the topics challenging and intriguing” and they “had a lot of fun”. On February 22 and 23 the essays will be read and assessed by four regional juries – two in Sofia, one in Plovdiv and one Blagoevgrad. The top four essays from each grade level from each region (112 in total) will progress to the round of national judging which will take place in Sofia on 22 March. The 112 national qualifiers will be announced by the end of February and the 21 winning national essays – by March 28. The national awards ceremony will be held on April 26.